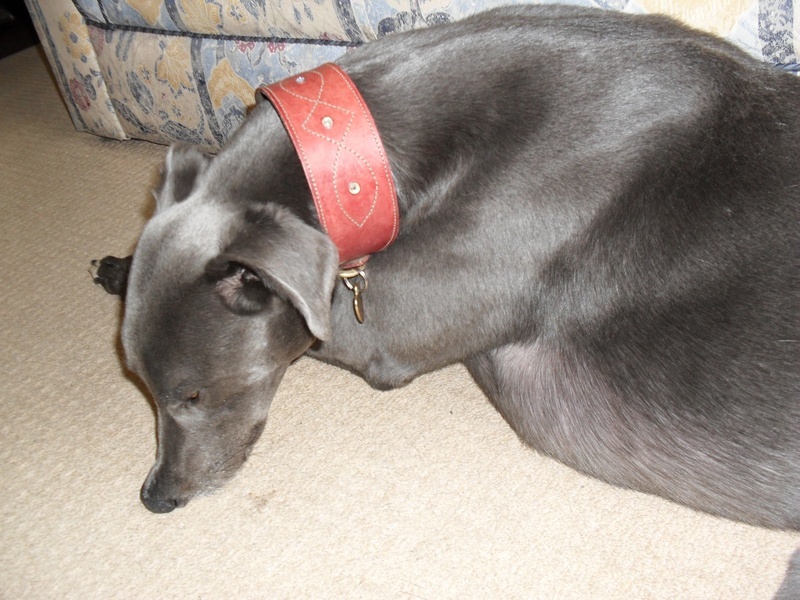 I adopted Louis nearly 2 years ago, after having to have my greyhound Luke put to sleep, after suffering a stroke. My remaining hound Bryn was devastated being without a companion as he had lived with Luke since he was a 10 month old puppy. I saw Louis on your wedsite and thought he might make a good friend for Bryn. They met at DAWG and got on well from the start. They now reside in a luxury kennel (my dining room!!!!) complete with a DAB radio which is tuned to radio 2 for their relaxation. They both enjoy running around the garden and long walks on the Bristol/Bath cycle path, and of course sleeping.